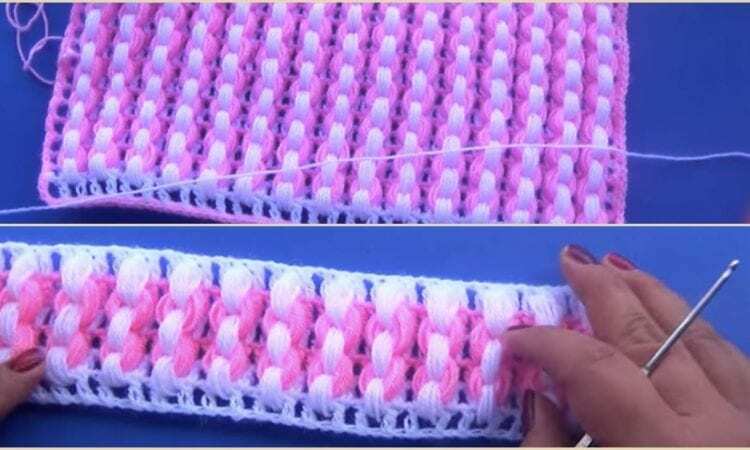 Once again, here is another great project that will enable you to use the puff stitch. This blanket is interesting, because the pattern enables you to make it pretty much any arbitrary size simply by adding more rows. There is a beautiful lacy edging to complete the appearance. This project will be a great way for the beginner with some time under her belt to practice a more advanced stitch. A link the free pattern is at the end of the post.